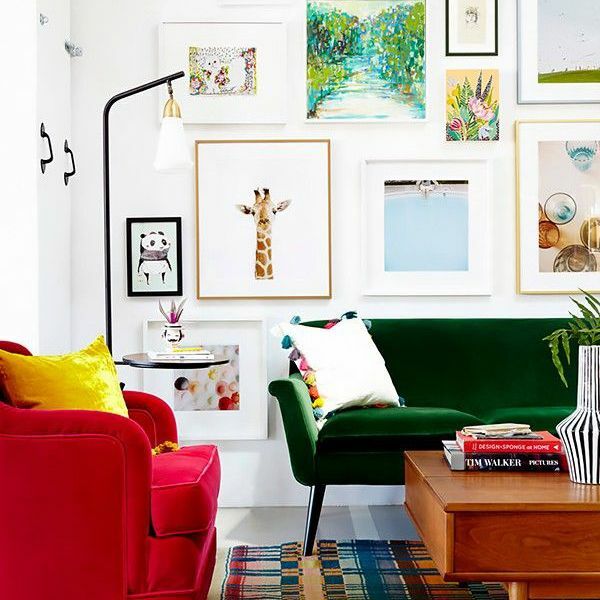 Few things are more effective at transforming a house into a home than a well-styled gallery wall. 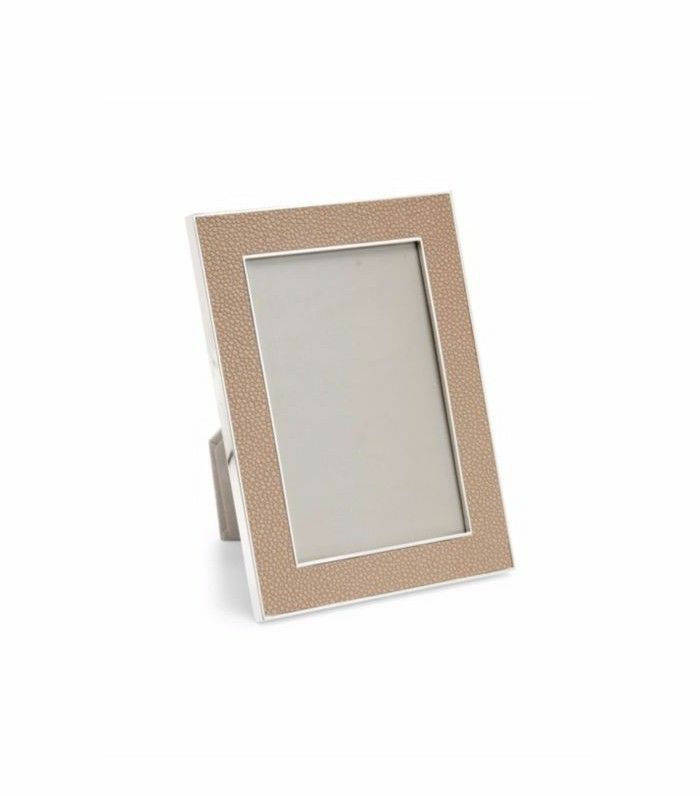 Filled with nostalgic photographs, carefully chosen frames, and treasured artworks, no two are the same. While that’s surely part of the allure, it also means planning a statement wall can be a Tetris-like challenge. To make things easier, we’ve devised five templates to perfect your project the first time—no DIY accidents, frames hung askew, or mismatched layouts. Follow this easy hack and choose your gallery style below to turn a blank wall into a work of art. Step 1: Choose a gallery wall template from the five styles below. Step 2: Ready your artworks and frames to match the template. Step 3: Trace the outline of each frame onto parchment paper sheets, and cut out each shape. Step 4: Arrange the cutouts on the wall to mirror your template, and ensure all spacing and alignment is correct. This is your chance to experiment with the design! Secure the parchment to the wall with a flat thumb tack or painter’s tape. Step 5: Hold the frame over the parchment, secure to the wall, and then tear out paper from underneath. Done! Ready to try it at home? Choose a template style to get started. This classic gallery wall style might appear simple, but in reality, it can be a tough template to replicate. Why? This grid-like style relies on proportions. 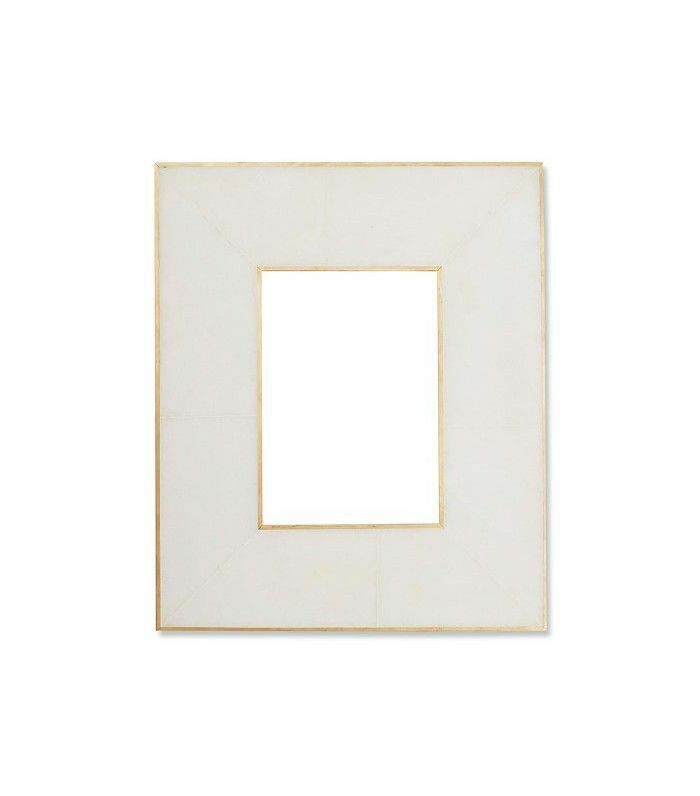 Unlike symmetrical designs, large frames are positioned off-center in a haphazard cluster. Interior designer Sasha Bikoff’s top tip for trying this template at home is to choose one type of frame. “It’s all about proportions. Frames should be kept consistent because you have to consider the look as a whole,” she says, noting that large, statement frames will likely overthrow the balance. This style pairs best with a modern, minimalistic aesthetic. Given the grid-like rules most gallery walls adhere to, it can be tough to position artworks on an incline. Bikoff says there’s one tip that will help you master an awkward stairway space: “All gallery walls should start with just one artwork in the middle,” she explains, which will help anchor the design and create a clear focal point. For a staircase gallery wall, Bikoff says to create a guide line up the center of the wall to mimic the incline of the stairs. Use two pins on either end, and then string colored thread between them to map the line. Arrange the artworks along the line, and then layer additional pieces from the focal artwork in the center. After you’ve mapped out the gradient, consider the special arrangement before you secure each frame to the wall. “There should be enough space between images to let each picture ‘breathe’ and have a presence [on its own],” she says. Take a step back and inspect the layout from different vantage points. Consider how the artworks will look from the top and bottom of the stairs as well as the doorway. 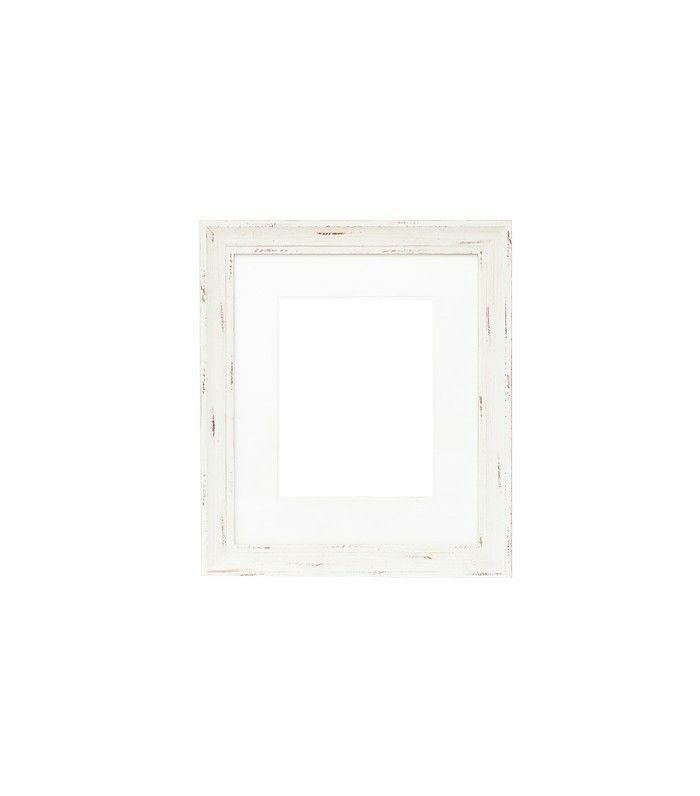 Simple and symmetrical, this perfectly balanced gallery wall is ideal for an entryway in need of character. “This perfectionist style is great for a foyer. It’s very commanding and gives any area of a home—even a thoroughfare—a strong presence,” says Bikoff. The secret to perfecting this project is to choose artwork wisely. Bikoff recommends black-and-white photographs and says consistency is key. “When you’re dealing with symmetry, it’s best to stick to one artist or medium the whole way through,” she says. Position the largest statement artwork in the center, and then build the other items out around it to create a mirror image. A favorite among bohemian interiors, this eclectic gallery wall is a work of art in itself, combining vintage frames, different styles of artwork, and found objects. To master this eccentric look, position all frames and objects on the floor to gauge how they interact with the surrounding items. If the design seems too balanced or perfect, add an unexpected piece like a mirror. According to Bikoff, the best eccentric walls break all the rules. “I would incorporate antlers, hats, or maybe free-floating shelves with some glassware,” she says. Keen to get started? 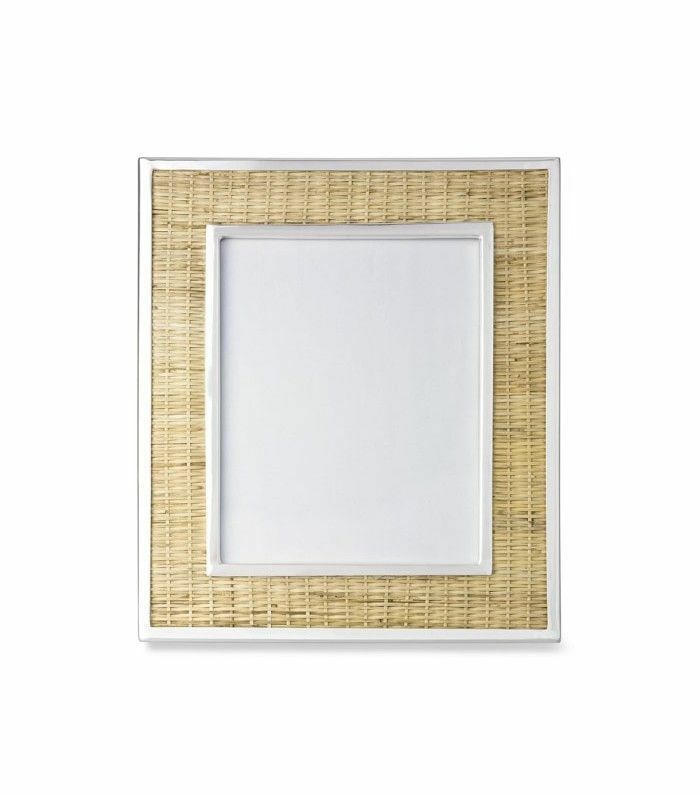 Shop the neutral frames below for a considered, carefully curated gallery wall.